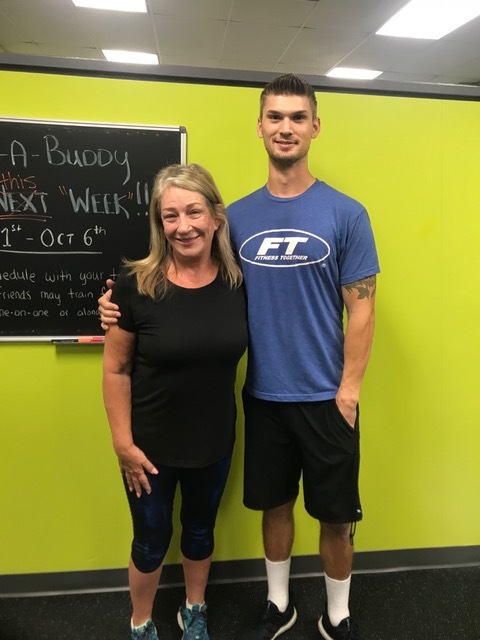 Bonnie joined the FT Family just over a year ago and we couldn't be more proud of all the results she's attained and progress she's made! The thing we are most proud of is how much stronger she has gotten and how well she is moving through her workouts. As a bonus, she has lost ove 27.5 inches off her body, lowered her blood pressure, and improved her Vo2 (cardiovascular fitness) by over 16%!!! 2. How many days per week do you workout at FT? 3. How often and for how long do you do cardio at FT or on your own? 4. What does your daily nutrition look like? 5. What do you feel FT has helped you with the most? 8. How would you describe your experience at FT?